At last a small, light weight (2.19lbs) battery for Ducati motorcycles. 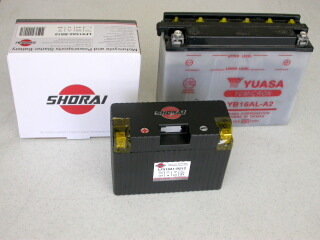 This battery is a powerhouse, your motorcycle will never be the same! Fits All ducati models 1992 to 2011. Please specify your model. Pictured here with a stock Ducati 916/996/998 Battery. NOW $169.95 Industry-leading two year warranty!